Polar bears are fascinating arctic animals! We've gathered the best polar bear themed crafts, games, and activities for kids for you to have all the ideas you need in one place. One of the coolest and most unique polar bear activities I've ever seen was Sugar Aunt's simulation of how polar bear skin and fur reflects and absorbs light! Hands on as We Grow's 3D polar bear craft is fantastic fine motor practice and turned out so cute! 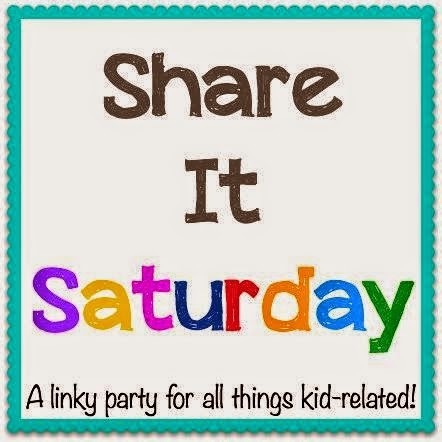 Thanks for linking up to last week's Share It Saturday! Coffee Cups and Crayons made polar bear cupcakes! I bet they are as delicious as they are fun to bake! A polar bear sensory bin and gross motor activity from Sugar Aunts is a sure way to keep kids engaged while learning! We asked why polar bears are white to discover the benefits of animal camouflage in natural habitats. 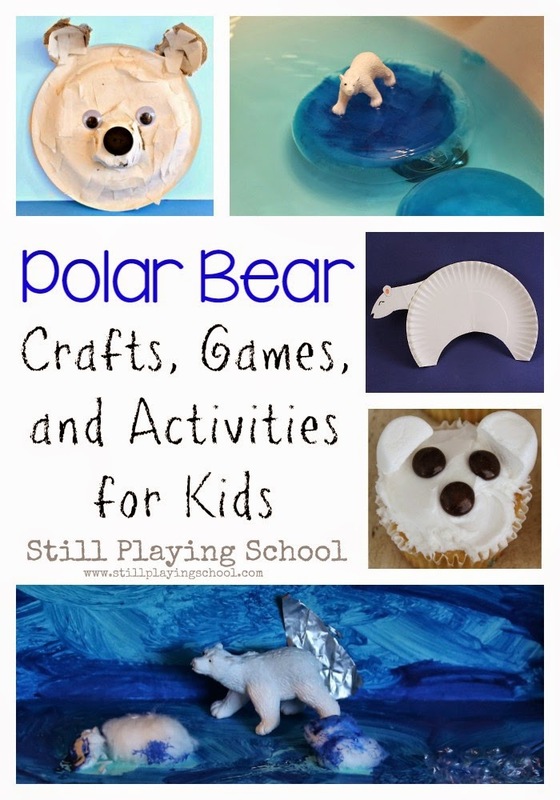 Sugar Aunts has an entire post on polar bear themed play including a craft, quiet page, snack, and books. 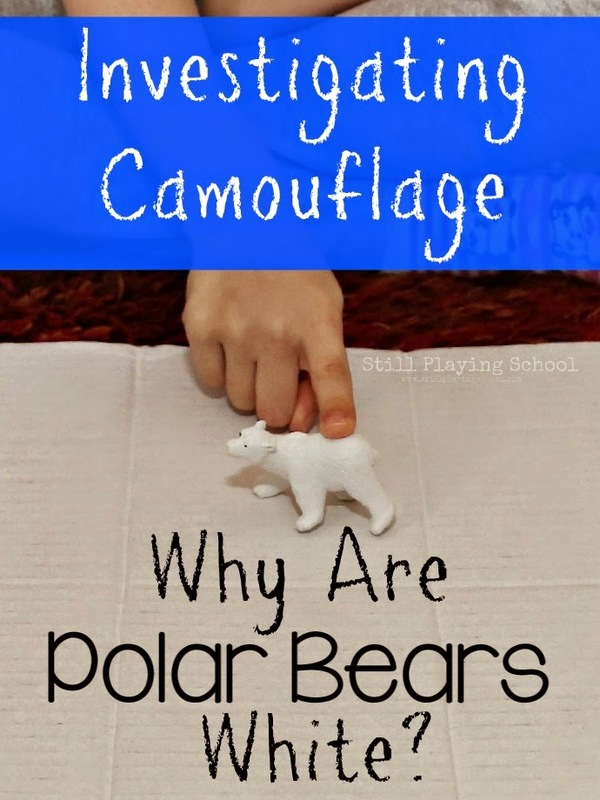 Kids Activities Blog has a polar bear craft that requires creative cutting practice. We created a polar bear habitat diorama to show what we learned during our preschool polar animals unit. We used our gross motor skills to act like polar animals as we learned how they move around their arctic habitats! Freeze the size of their hands in time forever with this adorable polar bear handprint craft from Frogs, Snails, and Puppy Dog Tails! Do you know which animals live at the Arctic and which live at the Antarctic? We sorted polar animals to find out! 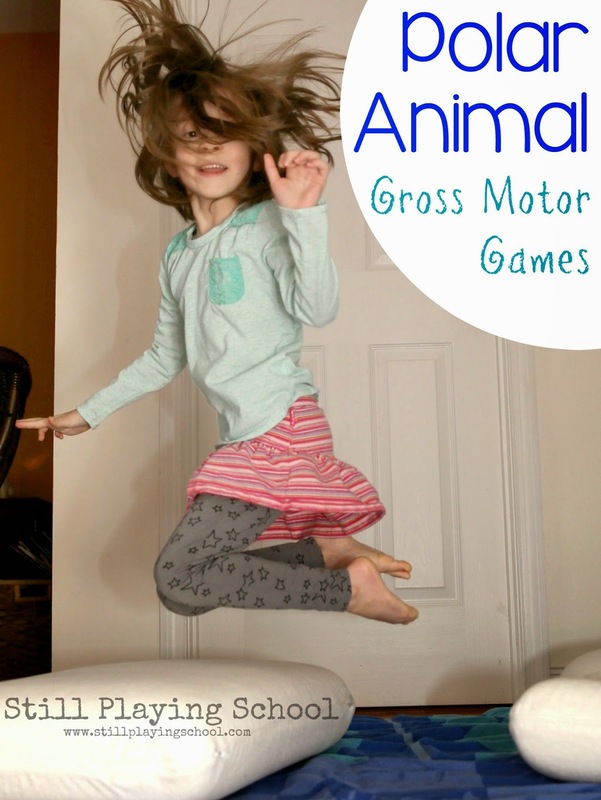 A polar bear paw walk game from Growing Book by Book will get them moving while they learn! 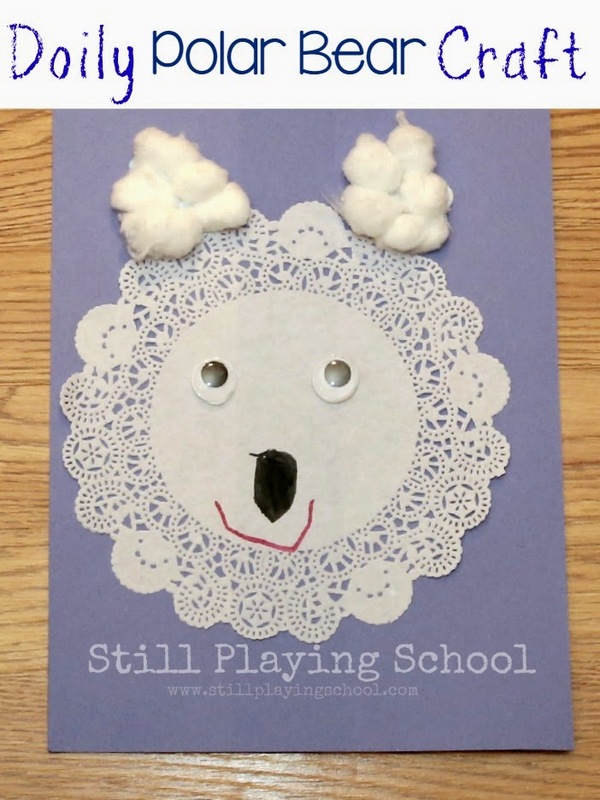 Our doily polar bear craft was made independently by our preschooler with a few simple materials! We created an arctic ice simulation in our sink for small world polar bear play! Chestnut Grove Academy created a polar bear lap book to sum up all the learning after a unit of study.